After the historical partnership with WK Offshore & Marine (WKOM), WKOM has become a MELCAL branch office for Norway. Head quarter is located in Sandnes, Rogaland. The shared past of MELCAL and WKOM permits us to offer a competitive product and maximize our customers’ benefits. Thanks to a service network of 16 stations, we stay close to our customers and support them by offering tailored package of services. “The timing of the office re-opening coincides with a positive moment for the fish and aquaculture industry in the Nordic region”. Bernt EgilWetteland, MELCAL branch office director, said. “We are very pleased that MELCAL now has a Norwegian branch office. It marks another footprint in MELCAL’s Norwegian engagement – MELCAL CEO added – I have no doubt, the right path forward is adding value to our customers. This operation is in line with the MELCAL growing strategy”. 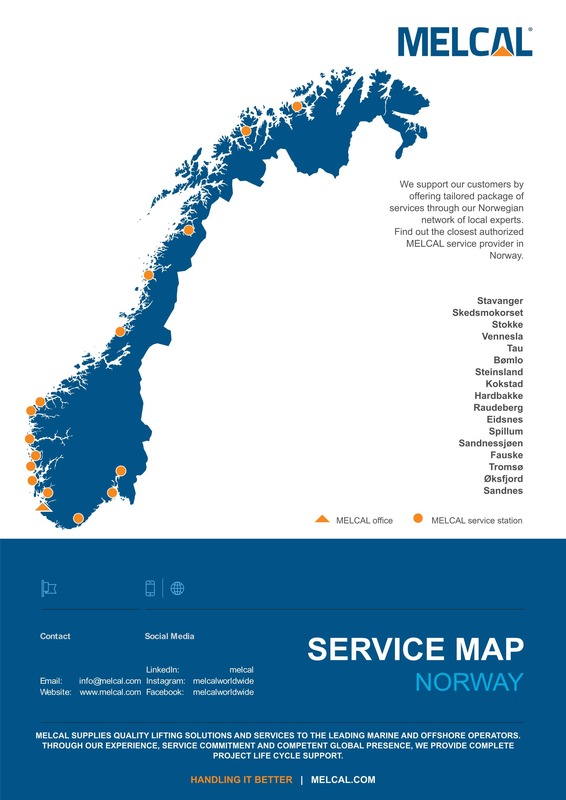 Click here to discover the closest MELCAL service provider in Norway.